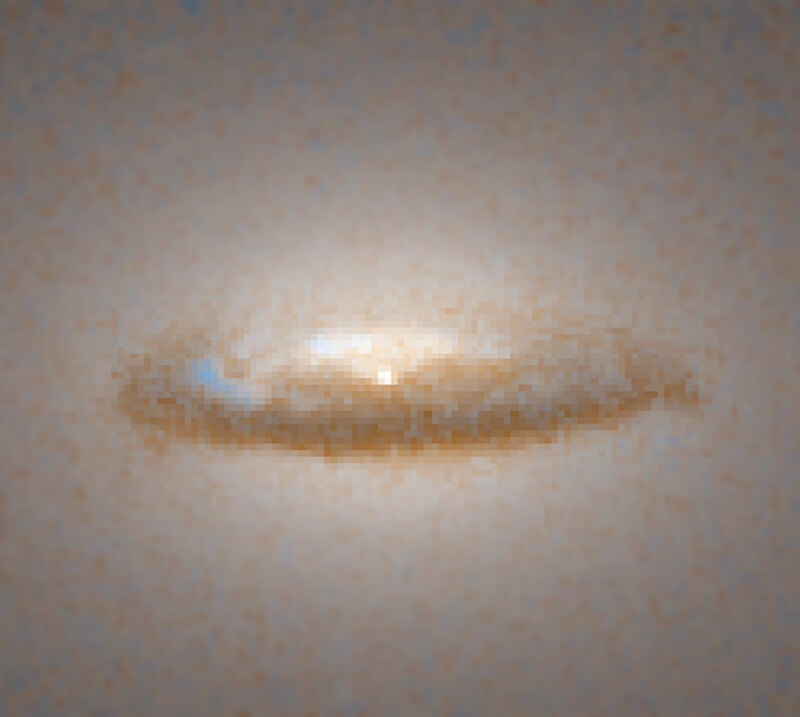 The doomed dust disk of NGC 7052: thousands of light years across, containing more mass than a million Suns, probably the remnant of a titanic galactic collision, rotating faster than 100 kilometres per second at a distance of 150 light-years from its centre – a theorised massive black hole that may swallow the entire disk in the next few million years. Everything that surrounds us may be viewed as an instance of Dialectic. We are aware that everything finite, instead of being stable and ultimate, is rather changeable and transient; and this is exactly what we mean by that Dialectic of the finite, by which the finite, as implicitly other than what it is, is forced beyond its own immediate or natural being to turn suddenly into its opposite. We have before this (§80) identified Understanding with what is implied in the popular idea of the goodness of God; we may now remark of Dialectic, in the same objective signification, that its principle answers to the idea of his power. All things, we say – that is, the finite world as such – are doomed; and in saying so, we have a vision of Dialectic as the universal and irresistible power before which nothing can stay, however secure and stable it may deem itself. This entry was tagged dialectical materialism, dialectics, G.W.F.Hegel, Hubble Space Telescope, Karl Marx, NASA, Neoplatonism, Nicholas of Cusa, Plotinus, Proclus. Bookmark the permalink.